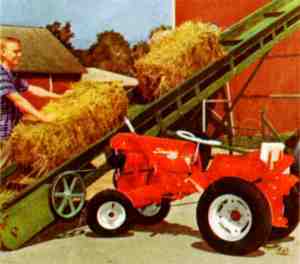 Comes from a cross shaft which delivers power to both sides of the tractor and is directly connected to the engine. 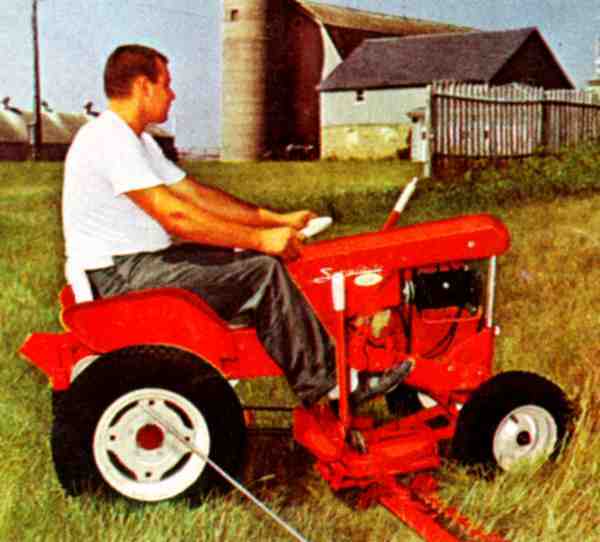 Ideal for driving 110-volt generator and 32" rotary tiller. 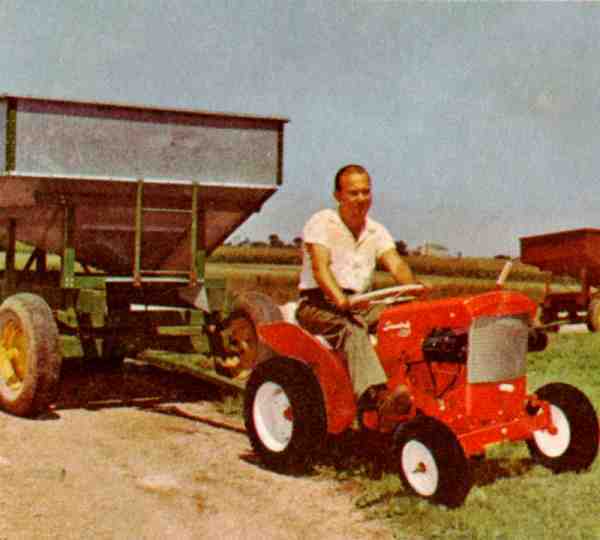 May be used for other attachments as well. With output shaft from the engine, is used to drive snow thrower and front-mounted reel mower. Will be used to drive others in the future, including stationary attachments such as elevators. Operates center-mounted attachments, which are free-floating and follow ground contours - thanks to Simplicity's patented mounting. Two-step pulley permits rotary mower and sickle bar to use this feature. And for four-season help on the farm, the Simplicity 725 offers 3 convenient power take-offs! The "725" has proved to be a farmer's best friend. 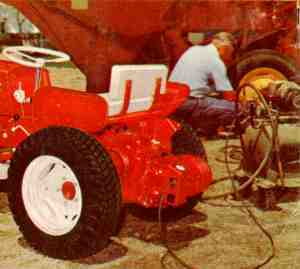 It's compact enough to work in cramped quarters, versatile and powerful enough to make bothering with the big field tractor unnecessary for many jobs. Cleaning feed areas, sickling around buildings, removing snow, bringing electrical power to places where there is no high-line outlet-ALL these jobs, and many more, are done easily and economically with this YEAR 'ROUND power partner. And that's not all. 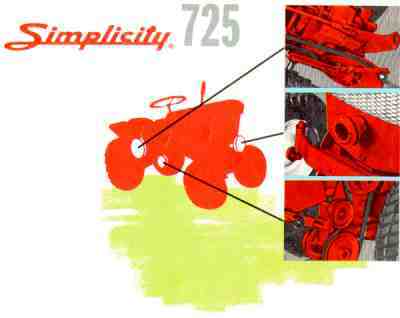 Simplicity's All-Job Engineering gives you many other special features such as exclusive high clearance mounting which allows front and center attachments to use the 725's front wheels -not the frame -as the gauge for clearance.